The two universities held competitions in rounds of virtual capture-the-flag, password cracking and lock picking, among others. Teams were made up of members from both universities with cash prizes provided by Microsoft. The full story can be found here. LearnLockPicking.com is now carrying SouthOrd lockpicking tools and equipment. We have added several new items to our catalog and will continue to add more items over the next several weeks. Unusual Christmas Gifts Under $50. What boy doesn’t like covert operations, spy gadgets, and clandestine skills? What about learning the carefully guarded secret of lock picking with his own lock pick set? 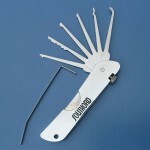 At LearnLockPicking.com, we have several unusual Christmas gifts under $50 that will be a big hit on Christmas morning. First, let me explain that lock picking is a puzzle. It takes practice but the basic skills can be mastered in under an hour. Once the skills of lock picking are understood, the challenges never stop. We offer lock picks and practice locks to help develop those exciting skills. Let’s look at a few options. 16 Piece Deluxe Lock Pick Set by HPC – This lock pick set is excellent for beginners and includes all of the tools needed for picking the most common types of locks. Most home locks, file cabinets, and padlocks can be picked with this set. HPC has been making tools for the professional locksmith since 1959 and their quality is hard to beat. Spring steel picks with stainless handles in a leather zipper case. 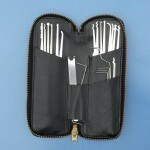 20 Piece SouthOrd Lock Pick Set – A step up from the set above but still a very unusual Christmas gift under $50. This set will also open the majority of locks found in and around the home or office. This set includes a few additional lock picks and a larger assortment of tension wrenches, the tool used to rotate the lock while it is being picked. Another great set for the beginning picker. Stainless steel picks with stainless steel handles in a leather zipper case. 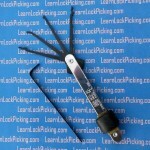 Folding Lock Pick Sets – Real Spies Hide Their Lock Picks. We Offer a truly compact set of 4 picks and a slightly more substantial set with 5 picks and a broken key extractor. Both sets include the basics for opening common locks. Definitely an unusual Christmas gift under $25. Practice Locks – What’s the best lock to use to learn to pick locks? 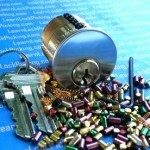 Old padlocks, especially the inexpensive Master Lock brand padlocks are a good place to start. Cheap lock cylinders can be found at the local Restore store or building materials recycling centers. We’re partial to our own line of practice locks. These locks are designed to easily re-keyed to thousands of different challenges from beginner to expert and because they can be constantly re-keyed, the challenges grow as your skills grow. BosnianBill, possibly the most prolific lock picking YouTuber mentioned us and showed our Challenge Lock in one of his videos. It’s video #185 to be exact – I told you he was prolific. I’m a little embarrassed that I hadn’t found this before since it’s a couple of years old. A customer (thanks Jed for the heads up) let us know we were given a mention. Everybody who knows lock picking knows BosnianBill and it’s kind of exciting when somebody mentions your product. I just wanted to share. The video can be found below. You’ll see us around the 14:50 mark. Thanks Bill! This video, other customer videos, and our own product demonstration videos can be found on our own YouTube channel here. You’ve heard me say it before. Lock picks simply aren’t used to commit crimes. 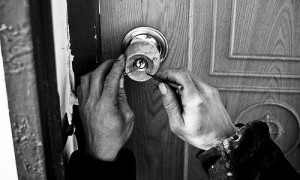 Criminals rarely have the patience to master the art of lock picking. Criminals kick down doors and break windows. But there is always the exception to every rule and this week gives us one of those rare exceptions. It seems that an enterprising homeless man had purchased a $25 membership to the Warren Community Center in Warren Michigan. He was using the center to have a place to shower and shave. He was also using lock picks to gain entry to member’s lockers to steal what he needed. He was arrested with lock picks in his possession. Two things about this story stand out to me. First, I am amazed how much nicer the Warren Community Center is than any of the gang-symbol encrusted community centers here in New Jersey. Even Michigan’s homeless are better groomed, and obviously more resourceful than New Jersey’s homeless. Why can’t NJ have nice things? Second, I find it interesting that the homeless man was charged with possession of burglary tools in addition to larceny. The lock sport community has always understood that, in most places, lock picks are perfectly legal to possess unless you are possessing them to commit a burglary. It’s interesting to see that legal principal in practice. I can’t count the times that I’ve found myself needing a lock pick and not having one. Today, I carry a lock pick set on my keyring but that wasn’t always the case. My go-to improvised lock pick has been the largest paper clips I could find in the nearest desk drawer. hopefully, a set of pliers was also nearby but I’ve made lock picks by using improvised tools for bending too. As I mentioned before, I spent many years working in the field of facilities management. 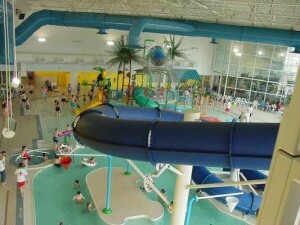 I was to guy who was on-site when construction and renovation projects were being completed. I spent several years working in the trades including locksmithing and It was common knowledge that I was the guy who could get people into places when keys were misplaced. Many times, I was already on-site for another project and would be asked to open a filing cabinet or desk drawer. Depending on the day’s projects, I sometimes traveled without my lock tools. When that was the case, I was always willing to make an attempt with a couple of paperclip lock picks. The fact is that paperclips work quite well as lock picks for the easy to pick disk tumbler locks. These are the most common locks to find on office furniture. I’ve tried paperclip lock picks on higher quality locks with much less success, although I have managed to open a few deadbolts or key in knob locks. 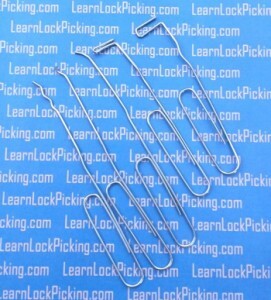 Paperclips will never replace a real set of lock picks but if you enjoy lock picking for the challenge, I challenge you to spend some time working with a set of improvised paperclip lock picks. Are Lock Picks Part of Your EDC? 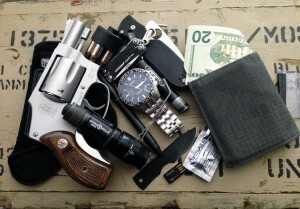 What do you carry with you on a daily basis? Keys, Wallet, a little cash, maybe a pocket knife? Are lock picks part of your EDC? You may be a minimalist with nothing in your pockets but a money clip or you might be a survivalist with a 30 pound bug-out-bag containing MRE’s, a gas mask, and extra ammo. No matter what your EDC style, consider including lock picks in your daily equipment. My situation may be unique. I worked for years in the facilities maintenance field. I was the guy with the big ring of keys that could open everything. But no matter how big your key ring, there’s always one electrical panel, one equipment cover, one customer padlock, or other odd item that your keys won’t fit. I always carried some sort of lock pick set and I used it almost every day. I’m no longer hands on in the maintenance field but old habits die hard. I still carry a lock pick set almost every day. I keep my big set in my truck and have a small HPC folding set on my key ring. A tiny, compact folding set isn’t nearly as comfortable to use as a full sized set of picks but it’s a lot more comfortable to carry. Even though I’m no longer working in a field where lock picks are almost a necessary part of my tool kit, I still use my lock picks at least weekly. I’ll admit that some of that might be because I just like picking locks but there have been lots of situations where having those lock picks with me made things much easier. I’ve heard a few people who were worried that carrying lock picks might get them into trouble with the law. Unless you live in Washington DC (any maybe Tennessee), simply possessing lock picks will probably not get you in trouble. Possessing lock picks while breaking into a house will. As I mentioned, I always carry a small set of lock picks. A few years ago, I was summoned to appear for jury duty. I arrived at the county courthouse to do my civic duty and had forgotten that there would be sheriff’s officers with metal detectors and x-ray scanners screening everyone entering the courthouse. I got in line and emptied my pockets into the plastic tray provided at the security desk. As I emptied my pockets, I realized that I was bringing lock picks into the courthouse. One of the officers may have noticed my surprise in finding lock picks in my own pocket. He started sifting through the pocket junk in my tray. He found the lock picks and held them up to me asking “What is this”. I answered truthfully, “Lock picks”, I said. He stared at the lock pick set silently for a few seconds as if he was trying to decide if he was supposed to do something about this situation. Then, with a look that said “I really don’t feel like dealing with this right now”, he handed everything back to me and waived me through. Lockpicking – Shady or Scrupulous? The Truth about Lockpicking Crime. Do you ever hesitate to tell people that you pick locks for fun? Have you ever told someone and gotten “that” look? I proudly run a legitimate lock picking tools business and even I don’t always proudly tell people until I’ve gotten to know them fairly well. Lots of people assume that if we pick locks, we must be doing something a little shady. Is there any truth to that? Every few years a news report shows up about somebody who picked a lock to commit a crime. But does this lockpicking crime happen often enough to be considered a problem? I Googled “lockpicking crime”. The first 10 pages of results did not list a single crime. Not one. It seems that lockpicking and crime really don’t go together very often. A few years ago, there were news reports about this scary new threat to everyone’s security – bump keys! Because of these reports, some places made bump keys illegal, locksmith trade magazines ran articles about the dangers, lock manufacturers invented “bump resistant” technologies, and the evening news had “experts” demonstrate the new threat on TV. Of course, this “new” threat was really as old as pin tumbler locks. No one had ever heard of it because nobody was actually using it to commit crimes. All the fear mongering was missing that one very important detail: somebody actually using it to do something wrong! So, Google and the evening news can’t show me the shady side of lock picking. Who else would know? Maybe law enforcement can shade some light on this shady topic. I know this retired police detective pretty well. I asked him if he had ever investigated or heard of anyone investigating a crime that involved picking locks. He had never heard of one case in his 15 years on the detective squad. He even told me that, in his opinion, it doesn’t ever happen. Why? Because the people that commit property crimes are not the same people that take the time to master a skill like lockpicking. He told me that one characteristic that he saw over and over again in criminals was a lack of impulse control – probably a big part of the reason they ended up as criminals. Impulse control is the exact thing that makes it unlikely that someone would ever spend the time to learn to pick locks with any proficiency. So, is lockpicking really shady? Absolutely not! Lockpicking is a puzzle and a mental challenge. Lockpicking is as shady as a game of chess. But will we ever convince the unwashed masses that we’re really upstanding individuals with an unusual hobby? Probably not. So you want to learn to pick locks. Where do you begin? The local community college doesn’t offer an introductory course in lock picking 101. There is no book called Lock Picking for Dummies. The internet is filled with information and misinformation. But don’t worry, we have an easy to follow, well illustrated guide to picking locks that will get you on your way to becoming a master lock picker. In fact, we believe our lock picking guide is the easiest to understand, and best illustrated guide to lock picking available anywhere on the internet. Consider it your mini course in lock picking 101. 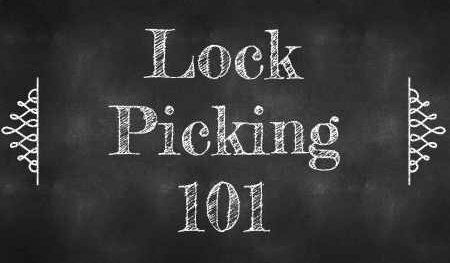 You can find LearnLockPicking’s Illustrated Guide to Picking Locks in our Learning Center at the very top of our web page. You can also link directly to the guide here. What’s the most common mistake made by beginners? Too Much Tension. I’m not sure how the word “tension” made it into the lock picker’s lexicon but tension is the lock picker’s word for torque or turning force. 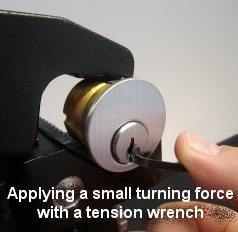 When picking a lock, you apply torque, or tension, to the lock cylinder while you’re using the picks to lift the pins. You can learn more about how to pick locks in our Illustrated Guide to Picking Locks here. If you haven’t had much experience successfully picking locks, you might be surprised how little tension is the right amount. If you’re not sure how much tension is the right amount, the answer is probably: less than you’re using. It barely takes any tension at all to turn a lock that is already picked. Think about the amount of turning force required to turn your lock with the key. Almost none. Tension for picking a lock is barely more than this. The problem with tension that is too heavy handed is that pins can be bound at the wrong height. Pins will become pinched between the plug and lock housing won’t drop back down once lifted with your picks. The lock will feel as if the pins are all set at the shear line when they aren’t. Other pins won’t be able to become set at the shear line because these bound pins are preventing plug rotation. In fact, many experienced pickers like to vary their tension if they reach a point where progress seems to have stopped. They will briefly switch from light tension to almost none to allow any pins that are pinched to drop out of the way.